Engineers are continuously looking to improve the efficiency of internal combustion engines (ICEs) in areas such as lowering fuel consumption and reducing soot formation. Among the strategies used to improve combustion efficiency is the use of premixed air-methane charge in place of the use of air. 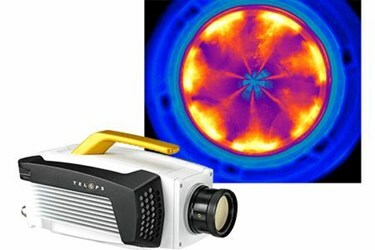 In order to observe and analyze this technique, an optical engine is used with high-speed infrared imaging. This white paper walks through this experiment and investigates the different phases of the combustion cycle using four different spectral filters in order to see the difference in the exhaust fumes. Download the full paper for more on the experiment, its results, and how high-speed IT imaging can provide unique insights for research on ICEs.